It was a beautiful Saturday morning, and I was looking forward to meeting a friend for a round of golf—my first of the season. While it had been nearly six months since I’d swung a club, I was looking forward to a pleasant return to the links. That’s not what I got—not exactly. Picture this: First hole—I get up to the tee, address the ball comfortably and swing. Ball goes about…well, let’s just say not my best shot. I get annoyed but manage to shake it off (kind of). My buddy hits a beautiful shot—much further than mine. Kudos to him. My turn to redeem myself. I line up my second shot, and I top the ball. It goes about four feet. I do this again and again. Yes, two more times—in succession. A few shots later and I finally sink the ball for a generous 8. I’ll admit, I am not a great golfer. But in all the rounds I’ve played on this course, I have never put up a snowman on that hole—EVER! I made every excuse in the book: It was my first hole of the season; I was wearing old glasses; my back was tight. All true—but all just excuses, and none of them helping me at this moment. We get to the second hole and I put on a similar display. At this point, my friend (who’s now laughing pretty hard, I might add), is clearly aware I’m headed for a loss—and drinks will surely be on me. The worse I hit, the angrier I get—and so on and so forth. It was a vicious cycle of self-inflicted mind games that was poisoning what was supposed to be a relaxing round of golf. We step up to the third hole, and now I’m fuming. Enough is enough. 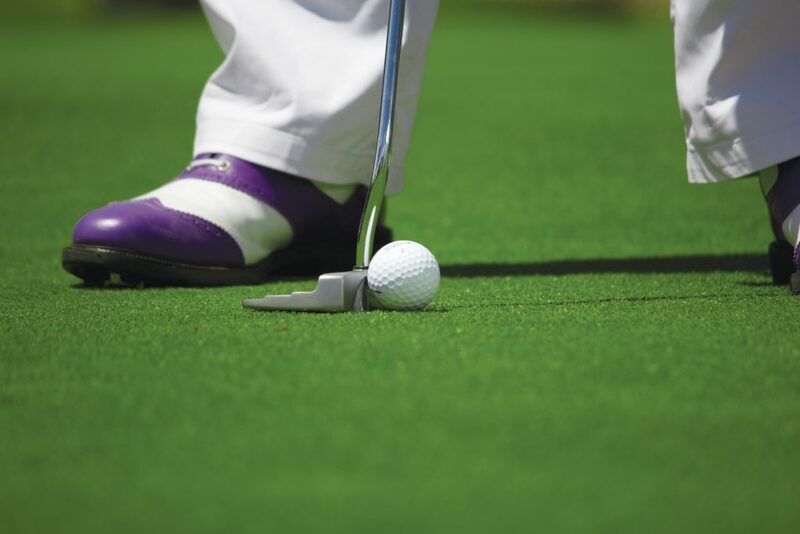 I decide to take a step back, calm down and make some adjustments: I tweak my grip, adjust my stance and change how far I’m standing from the ball. Finally, I hit a nice shot. Then again, and again! Don’t beat yourself up. I had no reason to be as annoyed as I was during the first couple of holes. After all, I hadn’t picked up a club for half a year and I was out of practice. It was unrealistic for me to think I could get out there and pick up where I left off without so much as a warmup. Sometimes we just need to cut ourselves some slack. Practice your craft. Sometimes tweaks are necessary. When I found myself in a bad situation, I adjusted. I tried different things until I found what worked. Achieving success often requires some trial and error and adjustments along the way. When in doubt, slow down. It occurred to me that I was swinging the club way too fast as I inadvertently overcompensated for the fact that I was hitting the ball poorly. Turns out, when I slowed down, the ball actually went further. Why are we always in such a rush? Let’s slow it down and see what happens. It’s all about mindset. I let my first shot ruin the next couple of holes. If I had approached the situation from the outset with a lighter, more positive attitude, perhaps I wouldn’t have taken my anger out on the ball—and my ball would have seen more airtime for par (okay…maybe bogey). The fact is, mindset ultimately sets the foundation for our behavior and actions. I can’t stress that last point enough. Once I changed my mindset, it became fun—like golf is supposed to be. Some bad shots, some good shots, but always fun. That’s the goal—in golf and in life.